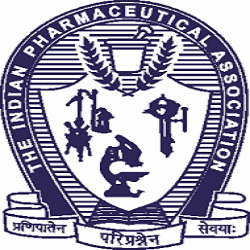 Clinical pharmacy, a lifesaving profession that was traditionally related to compounding and dispensing of medicine has now shifted to more patient-centered activities such as pharmaceutical.. Liquid crystal systems are attracting significant attention due to their unique microstructures and physicochemical properties. Liquid crystals are becoming the choicest system for R and D p.. The aim of the present investigation was to develop an inclusion complex-based hydrogel for transdermal delivery of raloxifene hydrochloride. Inclusion complexation was tried using two types.. The aim of the present study was to provide an overview of deaths caused by drug poisoning or intoxication with other substances in Qom province, Iran from 2008 to 2012. The data on poisonin.. The aim of the present investigation was to develop, validate and compare a spectrophotometric and a high performance liquid chromatography method for estimating canagliflozin in bulk and ta.. 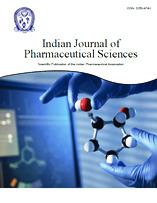 The applicability of a quality by design framework for the development of a sensitive, simple and selective, stability-indicating reversed-phase high-performance liquid chromatography analyt..
Methylcobalamin is a highly photolabile and unstable molecule and hence, studies regarding photodegradation of methylcobalamin were carried out. In order to investigate the stability studies..